The De La Salle College, Armidale, was founded under surely the happiest of auguries, for it was at the express wish of the late Cardinal Moran, and under the direct patronage of the late Bishop O’Connor, that the community of Brothers arrived from Ireland in 1905, to establish in Australia a new branch of their world-wide organisation. Aided by such patronage and their own unflagging zeal. Brother Antony, Provincial of Ireland, and his small band soon overcame all pioneering difficulties, and the college was ready to be opened on January 22nd, 1906. That event, in itself historic, is notable for another reason: among the founding brothers was Brother Benignus, present Australian Provincial; and the first of the 17 pupils to enrol at the college was Brother Benildus, its present Director, who later gained the distinction of being the first Australian to join the Order of St De La Salle. Since that humble but auspicious beginning, the College’s story has been one of continual growth and progress. 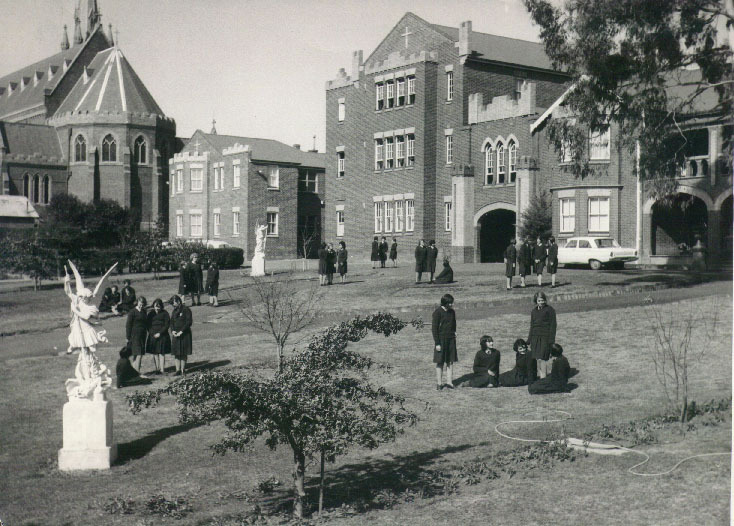 The first extension to the original buildings (which included the residence of Armidale’s first Catholic Bishop) came in 1908 with the erection of the junior chapel, the science laboratory and the old refectory. In 1911, came the erection of a centre wing to the old College, a necessary addition on account of the now rapidly increasing number of boarders; and in 1912 the College was registered under the Bursary Endowment Act. The years 1914-18 witnessed an extremely difficult period in its history; they also witnessed a noble rallying of ex-students to the call to arms, as a glance at the college Honour Roll shows. The most momentous period, however, in the College’s story is 1925-27 for it was then that the new Provincial Brother Patrick, conceived and executed his plan for the splendid new buildings which today constitute De La Salle College, and which were officially opened on Sunday, 31st January, 1927 by his Lordship, Bishop O’Connor. From 1927-32 further improvements were made under the wise direction of Brother Benignus, to whom is due the planting of the ornamental shrubs, trees and gardens which beautify the College grounds, as well as the laying-out of the many playing fields and the construction of a fine concrete swimming pool. Additional improvements are now being planned, such as the creation of an Agricultural Science Course and the preparation of two new cricket ovals. Today De La Salle ranks among the very best equipped educational institutions in the land. In 1906 the buildings were unpretentious; in 1938, De La Salle is a miniature township. Its grounds are spacious, and its shrubberies, lawns, hedges and walks are the admiration of visitors. Old Boys returning to visit their Alma Mater are amazed at the transformations, for a few brief years ago they knew this imposing College as a few old buildings suiting will with their humble surroundings. Since then, progress has come and a great work has reached its full and splendid flower. In 1882 the Ursulines arrive from Greenwich, London, to take up Missionary work in Armidale at the instance of the then Bishop, Dr Torreggiani, OSFC. Founded in 1534 by St Angela Merici in Brescia (Northern Italy), the Order has spread to all parts of both the Old and New worlds, devoting itself chiefly to the education of young girls. Four hundred years of tradition have made the Ursuline Nuns outstanding figures in the front rank of Pedagogical Pioneers. The original founders of the present scholastic establishment were all highly educated, greatly gifted women, with exalted ideas and self-sacrificing charity for the ignorant, the poor and oppressed. Their work in Armidale for the past fifty-six years bears evidence of this. From the Mother House in Armidale, communities have been sent to Sydney, Toowoomba, Oxley, South Brisbane, Tweed Heads and Guyra, where flourishing schools testify to the efficiency of Ursuline methods. 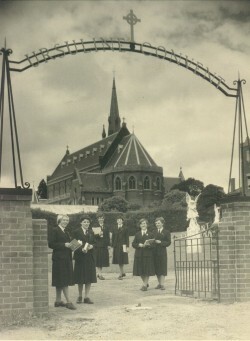 Hundreds of young Australian girls have passed through St Ursula’s Study Halls to take up responsible work as wives and mothers, as organisers and patrons of every description of activity for the betterment of their fellow men. 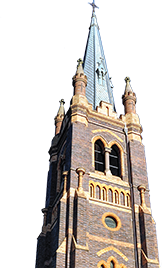 By St Ursula’s College and its annual successes, Armidale has been helped to a place on the Education Map of the State, in a very definite manner. Architecturally much has been done by the Institution to maintain the dignity of a scholastic academy, and to enhance the appearance and prestige of the town of Armidale – the Athens of New England. Please forward any information to the Catholic Schools Office (Attention: History Website) or post to PO Box 636, ARMIDALE NSW 2350.